You need to launch this as root to install all dependencies and then again with a regular user to fetch the last version of glibc from the Ubuntu repositories. You could also use the experimental glibc from Debian but believe me experimental versions are somewhat… well… experimental. Once everything is installed you may start Steam directly with the steam command. It will update itself and start again. It will also probably ask to install the jockey-common package. It’s an user interface and desktop integration driver management tool. But I didn’t installed it since there is no such package in the Debian repositories and even if I could I wouldn’t and Steam seems to launch cleanly without this anyway (notwithstanding a complaining message at each start). If you are using a tiling window manager be sure to put either Steam or your tag in float since some components don’t like it so much. 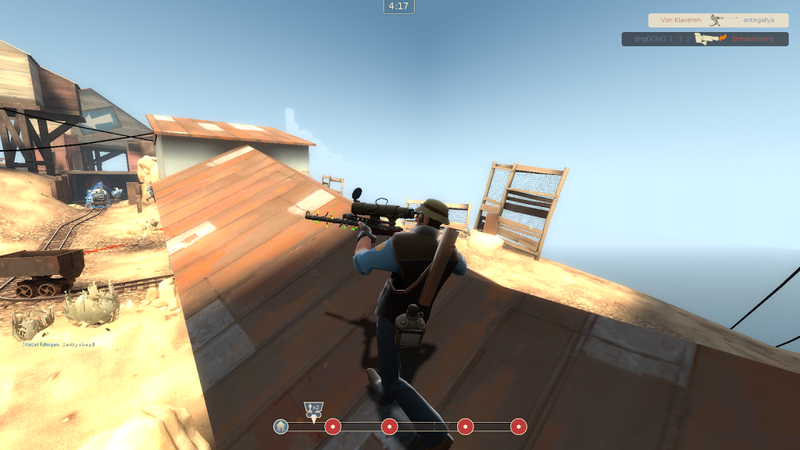 I did a first try with Team Fortress 2 (which is now no more listed as a beta) with a GeForce GTX 560 Ti. The games files will be installed by default in your home directory (~/.local/share/Steam/SteamApps) but you may change that easily. Once installed you may start the game from the Steam interface and believe what… It works ! There are fewer sounds options than on Windows, only “2 Speakers” was available. The mouse seemed (perhaps it’s just an impression) less sensitive too. 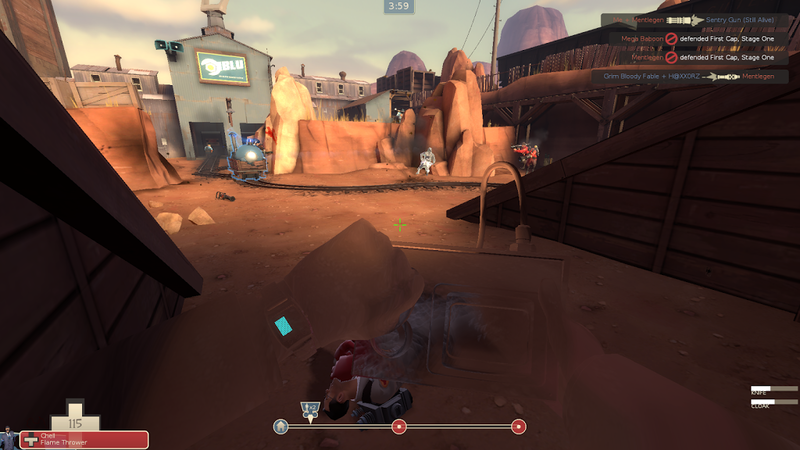 Although I’m sure you can tune Linux for a better gameplay. You may also easily change tag while playing which allows you to do a lot of other things at the same time. 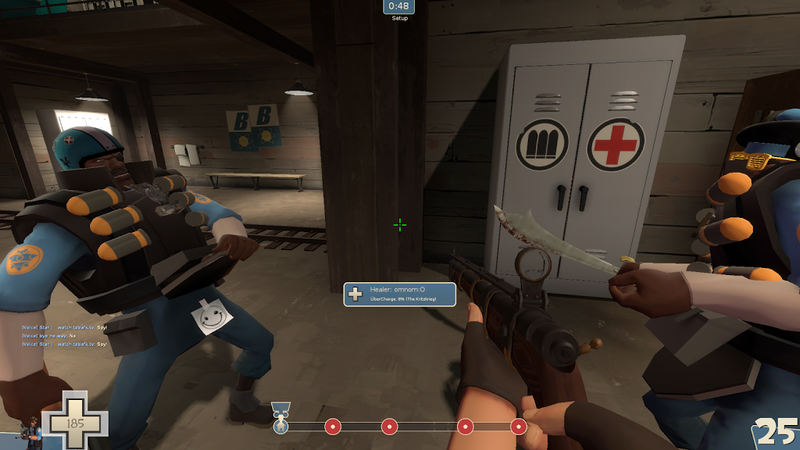 The two previous screenshot were games with bots. After that I also checked a game on Internet. No problem here either but a lot more fun. 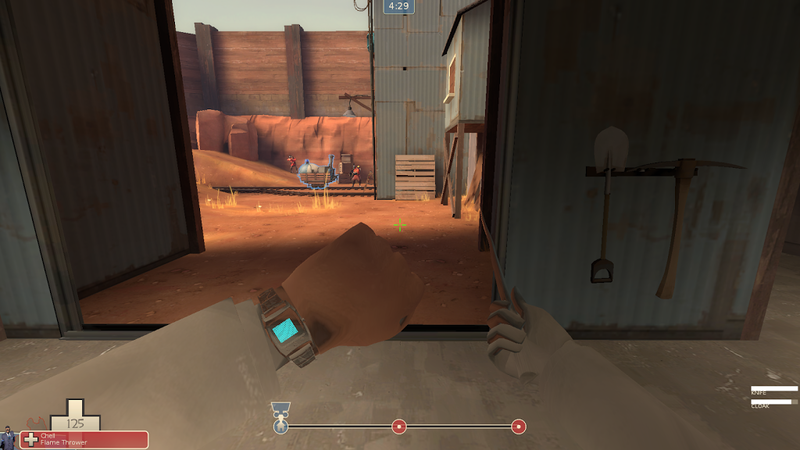 Again the game did run smoothly with no glitch and a network latency around 30 ms.
Apart from Team Fortress 2 other games are also available with Steam on Linux. For example here is a screenshot from X3 Reunion. What about Albion Prelude and X-Rebirth on Linux too ? 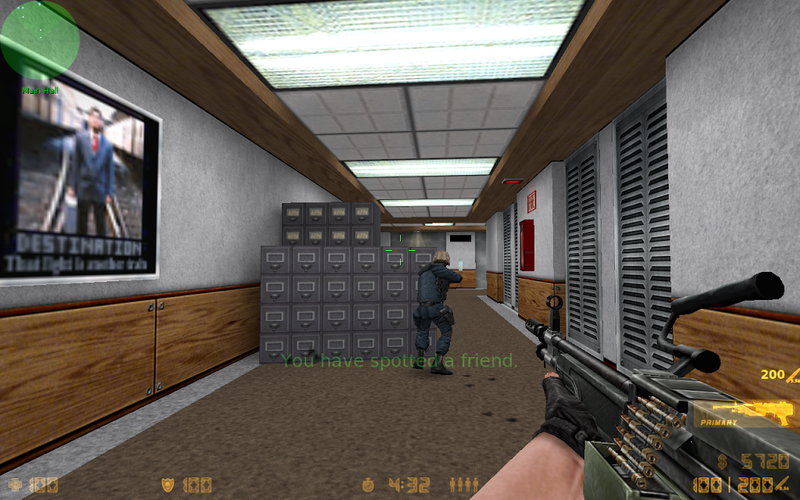 A newcomer in the Linux Steam catalog is the beta for Half-Life (the first one). 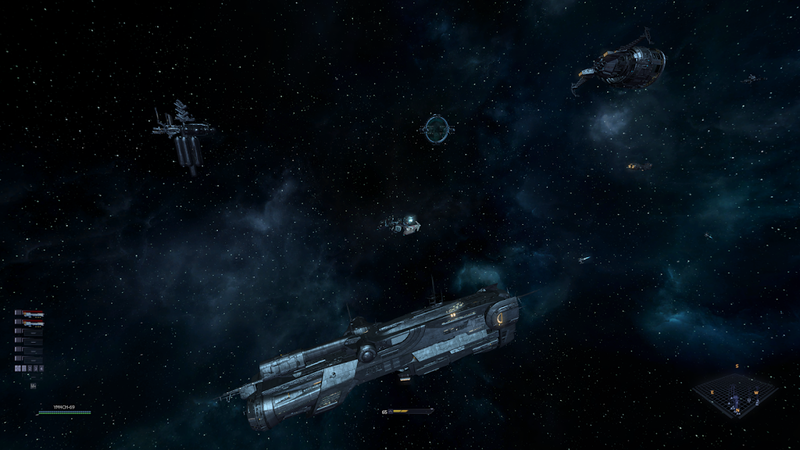 Although still marked as a beta the game is playable too. With the particularity that it also works on an Intel GMA card. That’s it no nvidia proprietary driver anymore ! 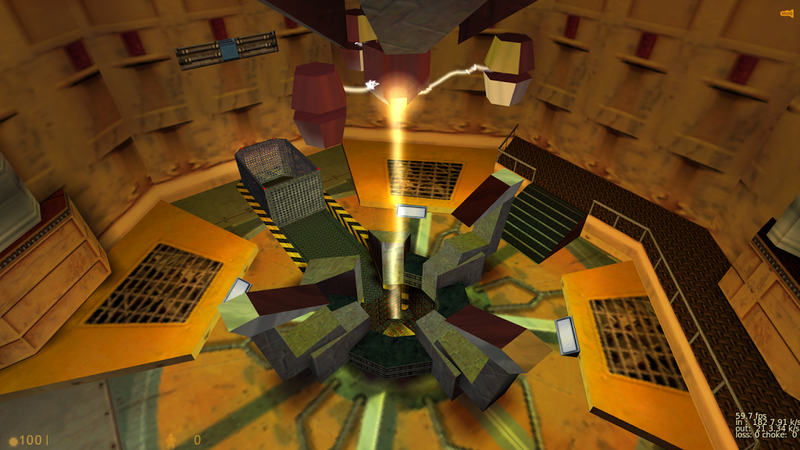 Speaking of Half-Life modification I’d love to see Sven Co-op ported to Linux too. 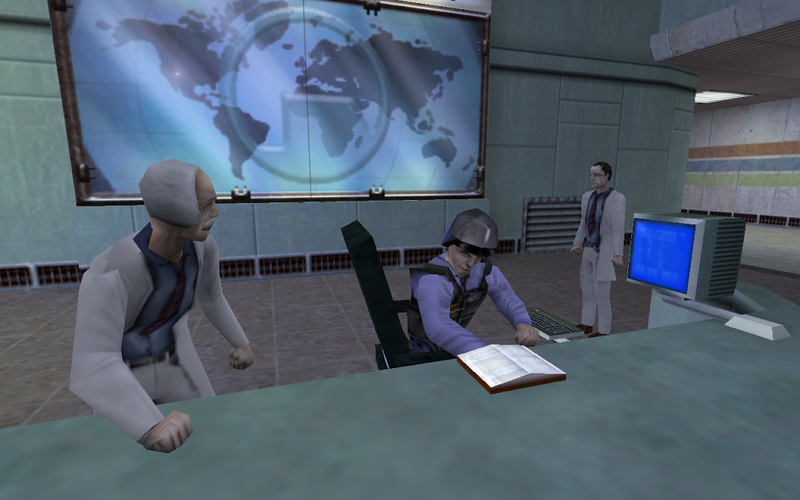 This was one of the best multiplayer mod for Half-Life. It had something we don’t find anymore in multiplayer games nowadays, too squared, adjusted, balanced and polished. Instead this game was raw and we had raw fun playing it! 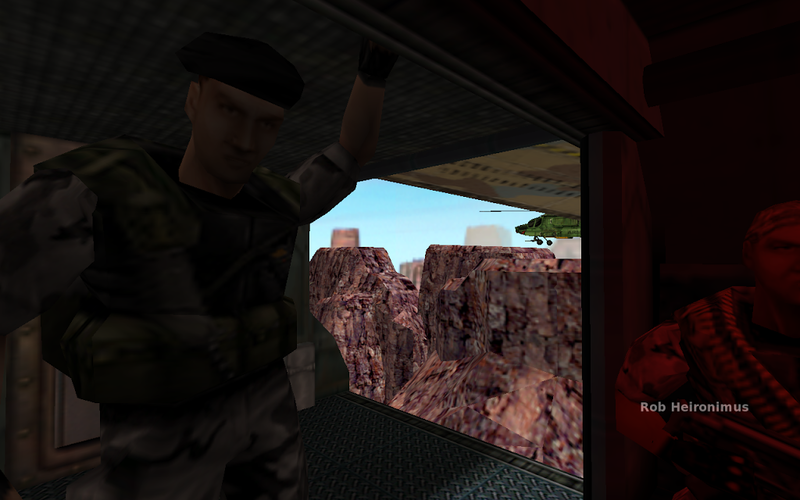 However I’d still love to hear about Half-Life 2, Garry’s Mod and Black Mesa Source on Linux too. Finally here is a video of Half-Life Beta on Linux with an Intel GMA card. Today we went to Brussels for the FOSDEM. For those who don’t know it’s one of the greatest FLOSS event in Europe with more than 5000 peoples from all over the world. We could hear German spoken, French, Dutch, Italian even Russian (or do I think so ? I never had a gift for languages) and many that we could not in fact identify. But in the end we just spoke English from one to the other with a huge medley of accents. We had a great day ! Anyway I guess we spent more than 50€ at the Debian stand. And they distributed nice RedHat gloves (actually I wasn’t there when they got one, I’m so jealous). Little side note here: It was great to be there but I could never live in a city like Brussels. It’s so large, so cosmopolitan. I’m really not a city guy. Little side note is over. Recently I stumbled across this book by Olaf Stapledon. Well this book inspired so many sf authors and it’s considered as a reference in the genre. And I feel like I should post a short review. This book is must-read for everyone who likes hard science fiction. A marvelous journey trough the cosmos and beyond. He develops themes that you will find in other sf authors which he directly influenced. Moreover if you do like Arthur C. Clarke, which I’m a big fan of, you will certainly like Olaf Stapledon too !